For addressing pain, injury, and the effects of disease, with non-addictive treatments that preserve quality of life. 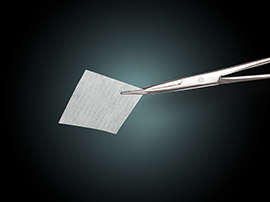 We’re committed to providing human tissue-based products for healing and regeneration that adhere to the industry’s highest standards, going over and above current good tissue practice (cGTP) standards to ensure the safety of our products. 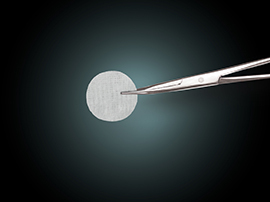 With a focus on patient safety and continual drive to innovate, our tissue engineers leverage years of experience to extract, purify, and preserve tissues for use in advanced allograft technology. Our ultimate goal is to use the power of regenerative medicine to help people looking to heal after surgical intervention or disease, those who want to avoid narcotics for chronic pain, or those who have been let down by traditional avenues of care. 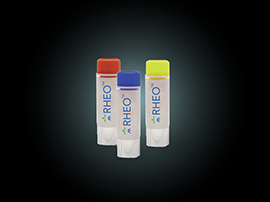 RHEO is a connective tissue allograft flowable matrix. Its derived from chorion-free human placenta tissue and amniotic fluid, cryopreserved to maintain the viability of the intercellular messengers. It retains the biologic functionality that ensures symmetrical structure development, growth, and repair of the soft tissue by acting as a biologic matrix for use in filling defects or points of localized inflammation. The placental Extracellular Matrix (ECM) modules correct cellular reconstructed rather that scar tissue information. This ECM includes growth factors, Fibronectin, Laminin, Hyaluronic acid, proteoglycans and other protiens. Anti-inflamatory and anto-fibrotic protiens in placental ECMs resuce inflammation, fibrous tissue growth and potential scar tissue formation as hey downregulate TGF-B suppress pro-inflammatory cytokines and inhibit MMPs and fibroblast formation. A chorion-free, dehydrated amniotic allograft membrane, derived from human placental issue preserved to maintain the structural properties of the biologically active elements present in tissue regeneration. The amnioticmembrane consists of a single layer f cuboidal epithelial cells firmly adhered to a thick basement membrane which s attached to an avascular stromal layer. The cells in these layers produce biological factors such as Laminin proteoglycans, growth factors, Hyaluronic acid and bronectin that contribute to the therapeutic benefits of the placental tissue allograft. A dehydrated amniotic allograft membrane containing the amnion chorion layer, Wharton’s Jelly. The allograft is derived from human placental tissue, preserved to maintain the structural properties of the attractive biologically active elements present in tissue regeneration. The cells in these layers product biological factors such as Laminin, proteoglycans, growth factors, Hyaluronic acid and bronectin tissue allograft. The Wharton’s jelly includes mucopolysaccharides (compounds that make o the connective tissue) and macrophages (cell that protect the body from harmful foreign particles. 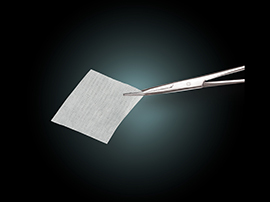 A dehydrated extracellular amniotic allograft membrane derived from human amniotic tissue for use as a scaffold for ocular repair. The allograft s derived from human placental tissue, preserved to maintain the structural properties of the attractive biologically active element present in tissue regeneration. It’s made up of three layers: epithelium, basement membrane and stroma. Several types of collagen make up the basement membrane, including type VII collagen which is also present in conjunctival and corneal basement membranes. The stroma can be subdivided further into compact layer a fibroblast layer and an outer spongy layer.